Ishsha, white female with El Nino and low micron count. Rose Grey and White males, Beau and Leo. Amazing crimp and growing into impressive future herdsires. Hagrid. A compact male with 18 micron fleece and long staple length. Now offering MOBILE breeding. Pick two of our males and we will drive them to your farm for a visit. $500 per breeding, up to two breedings in one visit. Weather permitting. You provide a clean fresh space for "business." Free mileage up to 90 miles then $2 each additional mile. Does not cover CVI if crossing state lines. We started our farm in late 2014 and never would have imagined the progress we've made. The AOA National Spin-off HIGHEST SCORING BROWN! 2018 brought us more blue ribbons and some PURPLE to add to the awards. Currently our herd of 13 includes 11 blue ribbon winners and 5 banner winners! 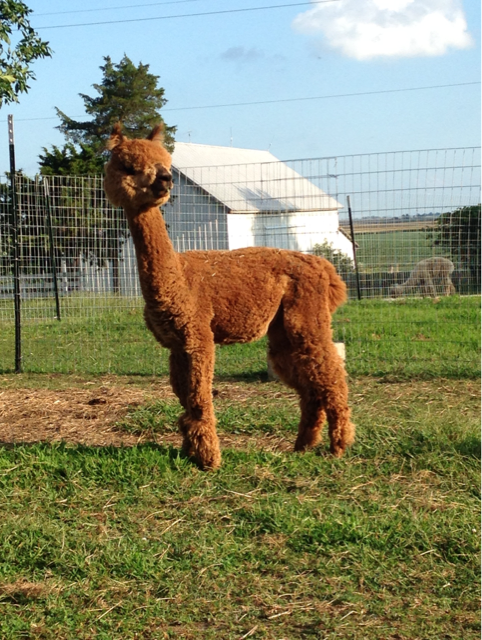 Check out our alpacas and make us an offer on your favorites. 0% interest on each alpaca. Minimum of 50% payment required on animals under $1,000 before they can leave the farm. Registration transfer after alpaca is paid in full. Financing up to one year. 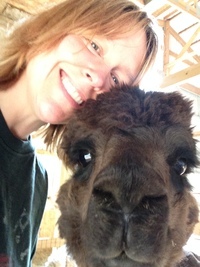 Alpaca over $1,000, 25% down and financing up to 2 years. Registration transfer after paid in full. $400 for a fiber animal, no papers. Should you choose to register the animal for breeding purposes, an additional $500 is required for release of papers. 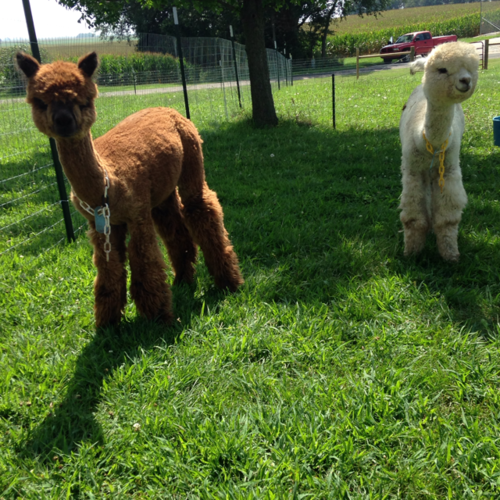 Sundrop Alpaca Farm started in 2014 with the intent of enjoying the alpaca business while teaching responsibility to our children. We have started a solid foundation herd of outstanding animals. Each is high quality, a 11/12 are blue ribbon winners, with the bonus of delightful and distinct personalities. Start a conversation with us on animals that interest you. 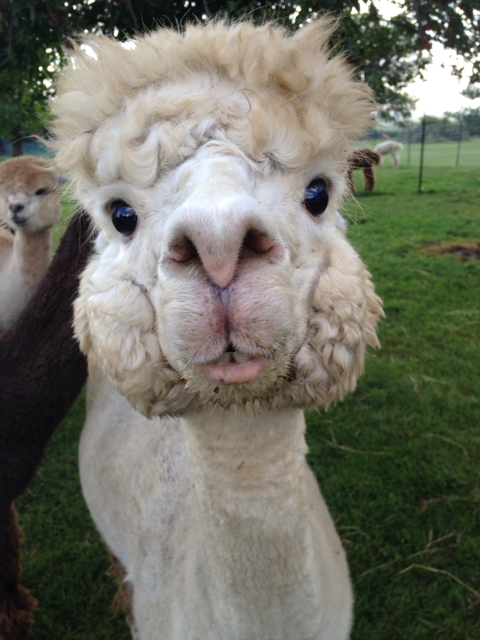 We have alpacas with impressive fleece, conformation and pedigrees available. The purchase of any animal (even fiber males) includes a drastically reduced rate, and reserved slot, breeding to any of our herdsires. We do not believe in including a "Free" breeding as this encourages farms to alter their thinking regarding their own farm goals. If our males fit with YOUR goals, then the purchase of any of our animals also gives the purchaser a transferable, reduced rate ($250) breeding to any of our herdsires, INCLUDING MALES THAT ARE RESTRICTED.